Today I thought I'd do a little reminder. Although people understand what I and my company do, I am not sure people always understand the variety of uses for the products my company, Family ChartMasters, provides. So, as a result, I have come up with a "Top Ten List" of sorts on the many reasons and uses for the purchase of a custom Family ChartMasters chart (decorative or working-they both have endless possibilities). Some of these ideas are from a previous post. 1) Track your database. We get feedback about this all the time. One customer said "I can finally see all the work I've spent all these years doing." And it makes sense, right? 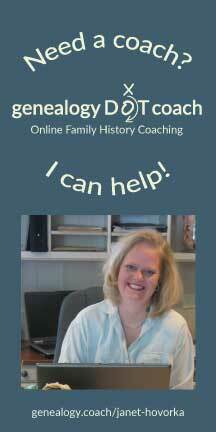 We genealogists put in hours upon hours of work but rarely give ourselves the pay-off of seeing it all on display. A decorative chart is a fantastic pay-off! 2) Impress the in-laws. We had one customer this Christmas write us back and tell us that her previously cold father-in-law had spoken to her for the first time in years after her gift of a chart on his ancestry and descendants. He appreciated her efforts and she was thrilled. If a chart can thaw that kind of deep freeze, there is some serious mojo behind it! 3) Join two families. A step family chart, or a wedding chart is a great way to celebrate the start of a new life. I can't imagine a better way to display the merging of two families. 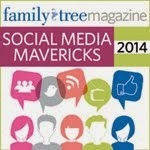 5) Collect information at a family reunion. I always say, and have never been proven wrong, that when you see something wrong or missing on the chart at a family reunion you have to go get a pencil. I actually went to a family reunion of my own once where the organizers didn't want anyone to write on the chart. Instead, they wanted you to send an e-mail. It about killed me not to add in my sister that was missing. Even your Aunt that doesn't want anyone to know her birthday will put it up on a chart. Working charts just cry out to be edited. 6) Inspire yourself. I'm betting most of the people reading this post have never been to one of my lectures. I often tell about a time, several years ago, when I was late for an appointment and trying to get ready to leave town the next day when I walked into the house to find the washing machine pipe had broken and our main floor was under 6 inches of water. The water was draining down through the furnace and our basement was about 4 inches under as well. Of course it wasn't a day when the house was clean and as I went through the house in a panic picking things up, I happened to look up on a wall where a picture chart was hanging. In it I saw my ancestors who had crossed the plains as pioneers, farmed in the desert, lived through the depression, and made all sorts of sacrifices for me. In that moment I had a peace and a perspective come over me. This wasn't a big deal in the grand scheme of things; I had insurance, it would be fine. And even through the next two weeks as workers ripped out our kitchen and recarpeted everything al while my daughter was in the hospital (it was perhaps two of the worst weeks of my life), I went through it with a much greater sense of peace and gratitude. 7) Share the genealogy you have collected with someone else. There is nothing better than a chart to explain research that has been done to someone who wasn't involved. I'm hoping that I will inherit my mother's work in a nice color-coded filing system with a matching color coded chart. If not, maybe my kids will get it. (Yeah right.) So, the least I can do is pay it forward for future generations and create a chart so the visual is there, easy to read, and ready to build upon in further researching down the road. 8) Inspire your kids. I want my kids to know where they came from, and the decorating in our home reflects that. Once, not to long ago, when my son wouldn't finish a book report, I jokingly reminded him that he descended from the very prolific Pratt family and he had it in him to stick to the task and finish it. He knew he wasn't getting out of it. Poor kid. But at least I, as a parent, had a ready to prove display on hand to say, "See, I'm serious! You can do it." 9) Appreciate someone. This one kind of goes with #2. We do lots of charts for anniversary parties, retirements, 80th - 90th birthdays and etc. I can't tell you how special people feel when they see the time, care, and effort that goes into a chart honoring them and their family. It's one of my favorite parts of creating charts--hearing how touched someone was to receive it as a gift. 10) Explore a new database. Getting a file out on a chart is a great way to see what is in someone's file that you received from a database. 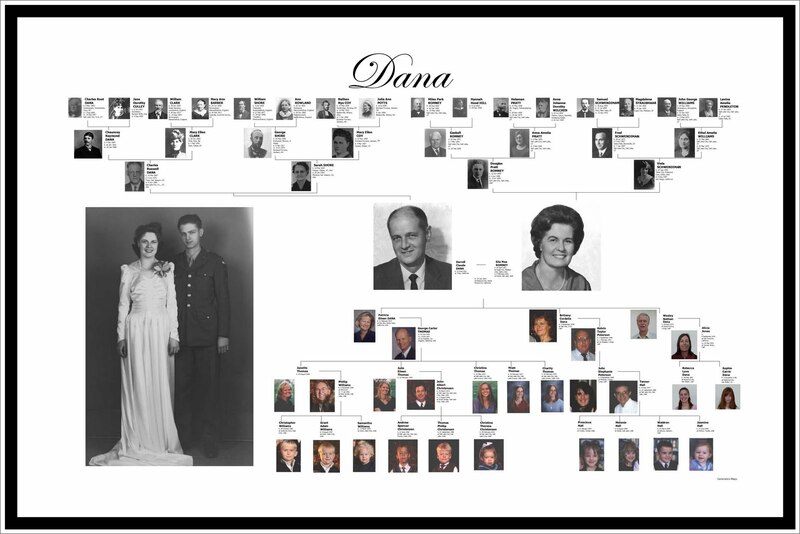 We at Family ChartMasters can print from any genealogy file. A working chart of a new database sent to you by a third cousin or a great aunt can help your productivity in further your research because you can see it and annotate and make notes as you go. It's a no-brainer. So there is my top ten suggestions for why you need a Family ChartMasters custom made chart in your home or to give as a gift. The holiday season is upon us and charts make the perfect gifts for family, friends, and for yourself. Be sure to contact us today for a free consultation and we can still get a chart out to you in time for Christmas. We look forward to creating the perfect gift or keepsake for you soon.